On today’s video, I reveal the 3 Ways Clients Say Yes to working with you. And when you decide which (or how many) of these ways you’ll get the Yes, it’s super easy to figure out how to get more clients. 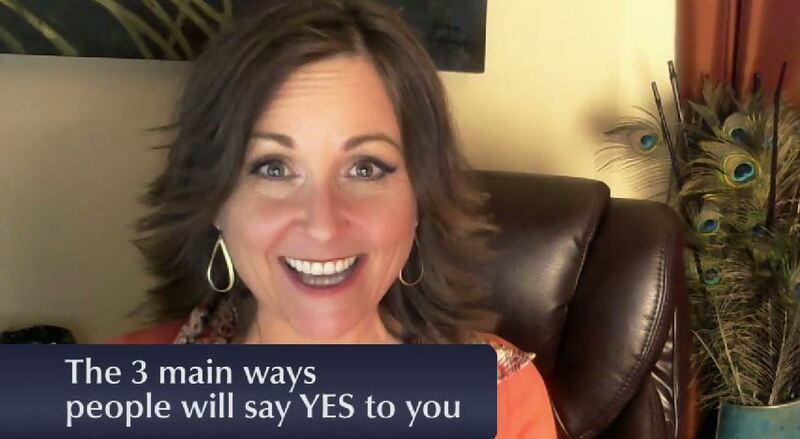 Alright on today’s video I’m talking about the three main ways that people will say yes to you so you can get crystal clear about your marketing and you don’t have to be distracted or confused or wondering what to do. 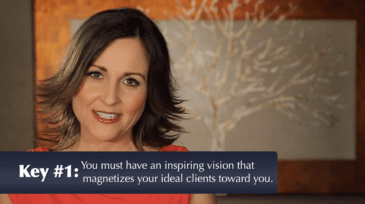 My intention is that after you watch this video you will be so clear about what you need to do and what you don’t need to do, that you’ll be able to simply be in action. In order for your business to thrive or for you to have all the clients you want, you’ve got to have a way that people say, ‘Yes” to working with you. Right? And if you haven’t figured this out then you might be kind of feeling like you’re aimless, shooting in the dark when you’re trying to figure out how to get clients. So I want to make it really really simple for you because once you figure this out it allows you to have that focus and that clarity to be really clear about what to do next. When you think about that moment when somebody goes from – they weren’t yet ready to hire you but now they are -- there’s this point of transformation really that they went from a “Not sure”, “Not ready”, “Not clear”, maybe all of the places that they could be and they finally became a “Yes” to themselves and “Yes” to working with you. We call that moment the point of conversion. This is a really really exciting moment whether you have had just a few of those you’ve had a lot of them. You know that until you get that “Yes” and somebody’s willing to pay you money to work with you, you really don’t have a business. You have a hobby. Now on the last couple of videos and articles we talked about first having a big vision and being really ready to play. And when you have an exciting vision often your inner “gremlins” or the inner voices in your head that tell you you’re not good enough, you’re not ready or you can’t do that. They really start getting riled up and so we gave you some tips for how to neutralize those gremlins. And hopefully you’ll neutralize those gremlins and you’re pretty clear about what it is that you want to accomplish. Now you want to get clear about your Point of Conversion. The place you want to focus on getting as many people as you need to that point so they can make that tipping point – that turning point to say yes. There really are 3 possible Points of Conversion if you’re a coach or holistic practitioner. And when I share this with you it’s going to seem so simple and yet I want you to consider that if you aren’t clear about this it makes it very, very difficult to create a marketing plan that’s something simple so that you know exactly what to do. Alright so the first way is in a private one-on-one conversation. Just you and this person heart to heart. We call this Heartselling™ conversations. It’s when you’re having a conversation with a potential client. It’s an inspiring conversation. It leads to action and if you’re really good at this and you’re masterful at the Five Elements of Heartselling™ which we talked about in some other videos, your potential clients will practically talk themselves into working with you if it’s a good match. Once you have that it’s very, very easy to get crystal clear on your marketing plan. The second way that people might say yes to you is during some kind of a virtual event like a free teleseminar or free webinar. And one of my best recommendations when you’re first starting is to offer some kind of a strategy session or free consultation so that you can have a one-on-one conversation and discover about what people are looking for to see if it’s a good match. Once you get more skilled at that and you feel more confident leading teleseminars and webinars then you can move on to making a straight offer on your teleseminar or webinar. It does take some time to master this but as long as you’re good at those one-on-one conversations you will still be golden here. This is a great way to get clients. 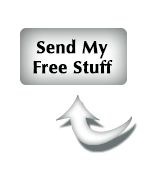 Even just the teleseminar or webinar to a free consultation that can be a powerful way to get to six figures very quickly. So the third way that someone might say yes is when you are speaking in front of a group of people. Now when I say speaking in front of a group of people most people get a little nervous and start thinking about talking to hundreds of people. But you can start with ten people at your local Rotary Clubs or Kiwanis or something like that. When you’re speaking you have the opportunity to make an offer. An offer for somebody to continue to work with you and if you wanted to go ahead and do a paid offer you can. Most people start doing something free. Again the free consultation is a really great way to get started. Alright so if you decide that this third way is how you are going to find that Point of Conversion and find enough people to say yes then you just have to get crystal clear about how many people do you need to speak to every month so that you get enough free consultations and people saying yes to your program to make your business work. Now this seems simple, I understand, and yet once you make this decision it’s so clear about what actions you need to take. Now if you are not sure yet or you’re not quite sure what those steps are then we want to invite you to be our guest at an upcoming Client Attraction Summit.